About poverty, The Bible and Money, Christian values, Organizations, Statistics, Finances, etc. The Association - ﻿ARK AID APPRAISAL﻿ is a Christian gift giving facilitator and nonprofit watchdog. AAA benchmarks Christian charities involved in the alleviation of poverty and injustice among the most vulnerable and the abject poor..
Nonprofits get hundreds of billions of dollars each year (in the USA, 477 billion; in the UK, 68 billion; in Holland, 5 billion; in Canada, 11 billion, etc). A lot of this money comes from Christians giving for the poor. But estimates show that hundreds of millions of dollars given for the poor end up in the pockets of the rich. One million more lives could be saved each year (see the math). You can do something about this! Please help AAA put a stop to this misappropriation. Please read this proposal. Perhaps there is something in this concept with which you could help us with your expertise. Also, check our vacancies or contact us. The little girl Elizabeth needs new shoes; she has leprosy. They cost only 10 dollars. Will you help? An aid organization makes the request. Now, there are three billion Elizabeths. Not all with leprosy of course, but all in dire need of aid. About a billion wake up each morning wondering where they will find food that day. Of course everyone understands that Elizabeth may not even exist, and that costs are involved in getting the 10 dollars to people like Elizabeth. Ark Aid, a Dutch based charity watchdog has been doing research over a number of years in order to determine how much actually gets to Elizabeth, and in what context. And they were unhappily surprised that in many cases very little actually finds its way to the intended recipients of the given gifts. On the other hand there are also many charities that are very proficient, professional, have a very low overhead, and distribute the gifts in a loving Christian manner. Because billions of dollars given as donations for the poor never reaches them, the idea arose to advise donors to give through the most efficient aid organizations. But which ones are they? The sites on the internet to help donors make the right choices are for the most part very inadequate. Therefore we posted this web site and request your help. But there is a more fundamental reason for wanting to help others make proper donations. The sovereign Lord wants that we give in a responsible way. Giving to the poor is an important theme in the Bible. Giving to them is giving to Him (Matthew 25:31-46). It all has to do with the glory of the Great King. To summarize, if we do it right many tens of millions will be going to the abject poor that otherwise would have gone to the rich. In this the King of glory is glorified. And that's the only important thing. This activity of evaluating and comparing should be done not only because donors will choose aid organizations with better ratings, but, when charities see that they are getting less because donors are becoming more critical and are now giving to the better charities, they will want to revise their methods, salaries, transparency, running costs, etc, to reestablish trust by the donating public. Now, at the outset we are confronted with a problem. Presenting the cold facts about aid organizations means, that in many cases, we hang out the dirty laundry for the world to see resulting in a probable general skepticism, not only of the particular organization under consideration, but also of the other ones as well. Will our endeavors not lead to the opposite of what we want to achieve? We believe not. On the contrary, we believe that as the trust factor grows with respect to the better charities, and as the lower rated organizations revise their standards, in the long run more money will be given. At the moment many are hesitant to give because there is no clarity as to the effectiveness of giving aid. only the ones that claim that they are operating from within Christian principles. This means that for most countries about 50 to 100 charities need evaluation. But these larger charities account, in most cases for more than 90% of donations going to poverty alleviation by Christians. 85% of the total revenues given for nonprofits in the USA goes to only 1,3% of these nonprofits. Estimates show that if we can make a difference on the decision making of donors because of our advice, evaluations, and comparisons, so that on average 10% of their gifts are redirected to the better charities, then that will mean many millions more will go to those who really need it. Estimates for the Netherlands are well over 30 million more per year, and for the USA it is many times that amount. For other countries a similar effect is to be anticipated. It is worth it to spend some effort to achieve these results. When we say that we are restricting our endeavors to Christian organizations involved with poverty alleviation, we make no judgment about the relative importance of this area of aid in comparison to other areas focusing on the more well to do, such as those areas of giving in health care, media, missions, evangelism, churches, Bible distribution, education, environment, and the like. We do however have a bias for aid in these areas going to where the need is the greatest. As well we have an even bigger bias that aid be given to organizations that are truly Christian. We would welcome others doing what we are doing for other areas of comparative studies involving other types of aid organizations. Our efforts should be regarded as complementary to other endeavors that do similar research and rating. So, here’s the plan. We want to set up a professional web page (including the use of social media, apps, forums, etc) to facilitate giving, especially for Christians. Being the only watchdog organization in the world providing free information about Christian charities involved specifically in poverty alleviation in this way, it can be expected that recognition of our efforts will rapidly spread. b. Are the recipients the ones most in need? c. Is the money flow not only transparent but also justifiable? d. What are the results and what is the impact? We want to think through the claim that a charity is Christian. What does that mean? Not only for the fund raising agency but also for the distributing agency. Here we want to be looking at things like honesty, social gospel or more, explicit or implicit witness, promises to donors (government, UN etc) that no religious activities take place, transparency about things that go wrong, the parking of excessive amounts of assets in bad banks or stock markets, etc. It is especially the creative way that the money flow is often presented that gives the idea that someone is hiding something (see also under point c below about deception). Because it is so difficult to determine how much Elizabeth finally gets, and in what setting, the issue of trust is of the utmost importance. Calling yourself Christian should not be enough to engender trust. One must demonstrate it. We want to measure it. Often the donor looks for indicators of trust, like CEO compensations, expenditure for expensive travel and aid vehicles, and the relation of project costs (whatever that is) to administrative costs (whatever that is). We also want to look for indicators of trustworthiness; of being Christian. We make no judgment about the relative importance of emergency aid and the kind of aid directed to a more structural manner of alleviating poverty. But we do hold that there ought to be a preference for helping as many of the poor as possible, the poorest of the poor, and especially the Christian poor. This means making choices. Giving for a food distribution for a lineup of overweight New Yorkers who find it difficult to pay for the gasoline in their cars, telephone bills, mortgages, etc is good; but giving for a lineup of starving Somalians in a refugee camp is better. Also, when too much ends up in the pockets of the rich who are responsible for getting the gift to Elizabeth, then the rating for such a charity should be lower. Not giving to the ones most in need ought to be an aspect of our evaluation. Rarely does a gift for Elizabeth go directly from the charity receiving the gift to the recipient. Often 5, or even more, intermediaries are involved. Each one wants a cut of the pie. So how much does Elizabeth really get? And in what setting? Those are the only questions of significance for most giving a gift. And virtually no one is answering those questions. Rating organizations which give a stamp of approval to charities (after-and perhaps because of- receiving a sufficient remuneration for their efforts) will generally rate only the first intermediary. They will tell you about pension supplements, assets, liquidity, family relationships of board members, give you pages and pages of difficult to interpret numbers and figures, and a thousand other details, but rarely how much ends up at the end of the line. Charities often will not even say who their partner-charities are, let alone give an account of the reliability and effectiveness of their partners. When they (and the rating agencies) speak of project costs, or percentages that go to the cause of the organization, what does that mean? In the mind of the giver it means Elizabeth. In the mind of the charities it often means the amount being sent to the following intermediary, or, even, the amount needed by the charity itself for many of their own costs. c1. Postman deception: Many aid organizations claim to help, feed, educate, or support many in need, while in matter of fact, they do nothing more than pass on some of the given monies to what they call partners, after having taken their cut for their own salaries, and other costs. It would not be honest if the postman or the bank which delivers the funds claim that they give aid to the needy. Who really provides the aid? It is important to check the partner organizations and to ask how the aid organization itself checks on the partner organizations. Overhead costs of a “postman” aid organization that does not have personnel in the field ought to be much lower than aid organizations that send their own personnel to work in third world countries. And a ‘postman’ aid organization that never makes costs in checking their partners should not necessarily be rated higher than the ones that find it necessary to make costs to evaluate and give assistance to their partners in the field. c2. Purpose deception: Many aid organizations give the distinct impression that their purpose is to help the needy while in matter of fact, when one searches through the ‘small letters’ in their constitution, the purpose stated is often the help of the needy plus all that pertains to that purpose, in the broadest sense of the word, which includes salaries, office costs, publicity and fund raising costs, including the extensive mailings begging for your money. When an aid organization claims, therefore, that 90% of gifts go to project costs or to the purpose of the organization, and only 10% goes to fundraising and administrative expenses, it means nothing. 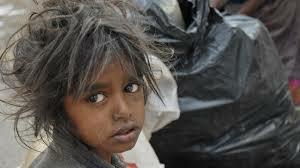 You still do not know how much goes to help the needy. As well, if the stated purpose is in opposition to the facts, as for example when monies are said to be given to a certain orphan in an adoption scheme, but in matter of fact are given to the community so that the orphan has only an indirect advantage, then it would seem the charity is misleading the donor. c3. Pot deception: Nonprofits generally have one bank account to which you can make out a donation. Out of this one pot of money the varies pots of money are filled for salaries, for overhead, for shoes for Elizabeth, and the like. Many aid organizations employ specific projects or adoption schemes to personalize the giving. Giving to a specific child, buying a cow for a certain needy person and such similar projects tend to generate more gifts than donations to a large organization which is involved in impersonal and unspecified projects. Often when donations are made for a project, other funds that had previously been allocated for that project are then redirected for something else, like better salaries. Your donation then, indirectly, ends up in a different pot. The reshuffling of earmarked gifts ought to be transparent and evaluated. c4. Pass deception: As has been mentioned, donations are often passed on to other intermediaries. This means that a daughter organization is often required to send monies to the mother organization, after which it is passed on to the sister charities which in turn passes it on to a partner which then helps Elizabeth. The daughter, the mother, the sister, the partner, and the banks, all have running costs that have to be deducted from the original gift for Elizabeth. Sometimes gifts going to the daughter come from charities with a different mother. Deductions for costs have already been made from these gifts as well. Charities give gifts to each other. When a daughter charity in this case leaves the impression that they are helping Elizabeth without informing the donor that there are other costs involved than their own in order to get the money to Elizabeth, they are misleading the donor. c5. Problem deception: Invariably problems arise within nonprofits. This could be infighting with the employees, misappropriation of funds, corruption, and the like, within the charity itself that receives your donations or within one of the intermediary organizations. Corruption is prevalent in many third world countries. When these matters are concealed from the gift giving public it should be reflected with a lower rating. In conclusion, we need some professionals who will help us to set up an objective standard (although certain subjective aspects are unavoidable) to evaluate Christian aid organizations involved in poverty alleviation. Perhaps this can be done by assigning points that are accumulated according to a standard checklist, in the four above mentioned areas. The better the Christian aspect, the greater the needs of the very poor are met, the better the money flow, and the better the results, the more points an organization is allocated. These points can then be translated into a five star rating system (including half-stars) as is standard practice. We need a number of people who will do case studies of any Christian charity, of their own choosing, involved with poverty alleviation. In such a study an attempt ought to be made to give a rating keeping in mind some of the aspects mentioned above. By combining these case studies, we can perhaps better work out a standard checklist with assigned points, applicable to all of the aid organizations under consideration. As well, we need people who are willing to accumulate a lot of data, some of which is readily available on the internet. First of all, we need to identify the 50 or so organizations under consideration in each participating country. Secondly, we need to find as much information as possible, over as long a time period as possible, via publications given by these organization themselves, through their annual reports, financial statements, forms provided to other rating organizations, or to the government via such documents as the IRA 990 forms in the USA, or the annual reports according to regulation RJ650 in the Netherlands, or the Canadian Registered Charity Information Return, or the (Trustees) Annual Return in the UK, etc. Data acquisition about the intermediaries and partners are equally important, if not more so, than of the nonprofit which first receives the given gifts. The charity that first receives the gift should provide this information since it may be expected that they are concerned with how a gift has been received and how it has been passed on and given at the end of the line to Elizabeth. Not providing requested information (with certain exceptions like aid going to politically sensitive areas) should mean a lower rating. In order to get the necessary data which cannot be found by the above mentioned methods, it will probably be necessary to develop a standard questionnaire to send to the charities. Not responding to this request or insufficiently providing the requested information should reflect on the rating of such a charity. d. What are the results? In other words, does Elizabeth get her shoes and has this been achieved within a loving Christian setting? This is the most important part because this is the reason that a donation has been given in the first place. All the earlier mentioned aspects that are necessary to rate an organization are secondary to this one. Accountability of a nonprofit should have this as a spear point. Devising a method to rate results and impact will probably be the most challenging of all. In the case that this aspect remains obscure however, then a look at the heart of the charities involved becomes more significant. Exorbitant compensations for CEOs, as an example, then reflect on the probability that results lack effectiveness. j. Links to important web sites for help with all of the above; a list of all the Christian Charities involved in poverty alleviation, including the smaller ones, with their contact details. Other broader facts, as for example, about the evils of the prosperity gospel movement, and the relative importance of giving for the poor over against other nonprofit areas of concern, and the like, might also be valuable for our site. At any rate, the above mentioned suggestions for facts and figures is in no way intended to be exhaustive, or conclusive. This part on ‘facts and figures’ may seem to be quite massive and too ambitious. But most of the material is out there already and simply needs to be arranged, linked to, illustrated, and commented on. At times a donor may want to contribute to a (foreign) organization not having a government recognized charitable status. In that case possible tax benefits do not apply. Or he may want to start up a small relief charity but not want all the paperwork and expenses for government registration, accountants or notaries etc. For these and other cases, AAA has set up a Foundation in the Netherlands called ARK AID Assistance. ARK AID Assistance is not just another aid organization. It does not actively raise funds. It does not keep assets. It does not make money in the gift giving process. It simply facilitates giving by passing on 100% of donations to designated projects or partners, generally for the purpose that tax benefits be applicable. No other organization offers this kind of service. ARK AID Assistance is in this sense a subsidiary of Association ARK AID, the gift giving facilitator and watchdog of Christian charities involved in the alleviation of poverty. ARK AID Foundation has been actively fulfilling this purpose for many years. See their web page for more details: ArkAid.nl (Dutch) or a-AAA.org (English). We are looking to set up an office of ARK AID Foundation in other countries fulfilling a similar task. The above proposal is only a concept. It needs to be developed, expanded upon, revised, filled in, etc. All is at the moment tentative. The name ARK AID has been given to our endeavors and for or an obvious reason. The ARK of Noah, as well as the ARK of the Covenant, are pictures of the best kind of aid. The ARK is a picture (what the Bible calls a shadow) of Christ. Being in the ARK (in Christ) is a shadow of the best kind of aid: deliverance from the judgment waters which in a figure have come upon Christ because of sin. The ARK of the covenant gives an expanded picture of this deliverance-aid. The triple A logo is an expression of excellence. The exceeding excellence of Jesus is our pattern. AAA attempts to make its entire doings subservient to this higher goal of deliverance-aid and excellence. Jesus said, “what shall it profit a man, if he gain the whole world, and loose his own soul?” (Mark 8:36).